This is part six of our seven-part series: “STSM Highlights”. We’ll be sharing the testimonies of every mission trainee sent out by KCM last year through our STSM program. Be on the lookout for our final country next week! 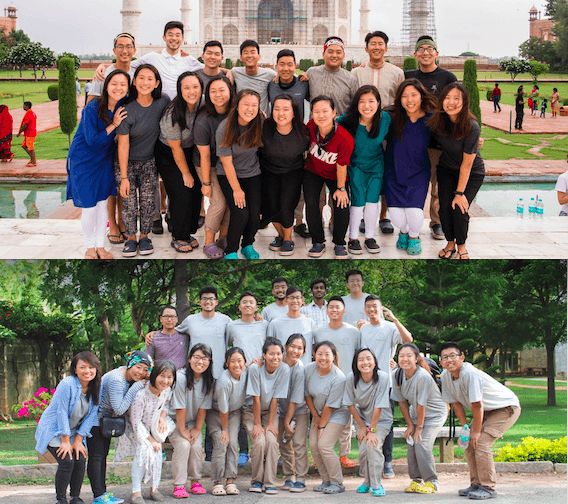 Hello, my name is Andrea Park and I was blessed with the opportunity to go to North India this past July. Through this mission trip, I experienced God’s glory in India and learned more about God’s character. As my knowledge of who God is has grown, my knowledge of who I am has also grown. These following truths do not limit what God has taught me this past July, but they are the truths that I believe God wants me to share. God is kind. The biggest truth that I learned: God is kind. Growing up in the church, I always heard truths about God but over time, I started to overlook them. I know that God is good and He is holy, but through this trip, I was able to truly understand and accept that God is a kind God. I am so undeserving of His kindness. In 2015, I went to India as a freshman, so this trip was my second trip to India. My first experience to India opened my eyes to the brokenness of the country, the sin within myself, and the great need for God in the world. 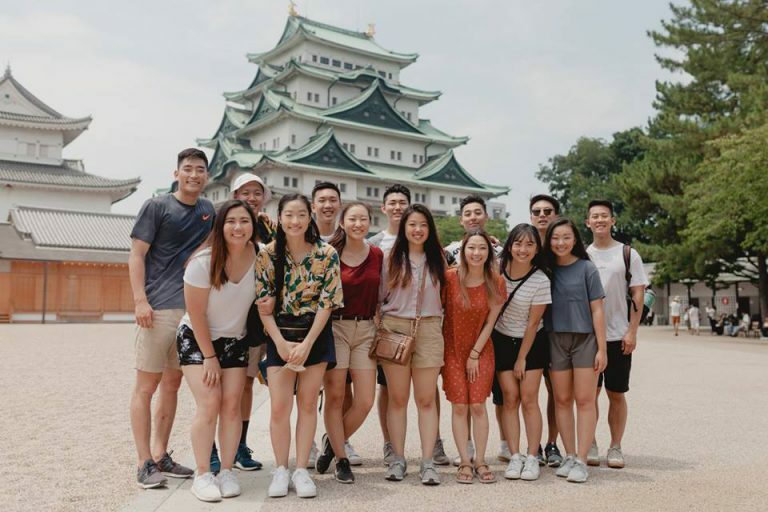 As a freshman, I learned about my selfishness and though I tried to think of others before myself, I still ended up putting myself in the center of my trip. My selfishness let petty shortcomings of my teammates distance myself from them. I did not struggle with loving the country or God, but I struggled with loving my teammates. The trip helped me to understand that God’s heart breaks for His lost and I also grew a heart that loves to serve God. This year, I came into the STSM program with the sole purpose of wanting to obey and serve God only. Despite the many fears/worries I had coming in (about the team, the leader, and past hurts), I prayed that God would help me to seek His kingdom first. God answered. He graciously blessed me and showed me much love and kindness. He provided a unified and effective team and a healthy body so that I could focus on my purpose to serve His kingdom. I was blessed to learn more about who God is through obeying Him. God is Emmanuel. During the bad and the good times, God is always with us. There are times where God seems absent or quiet, but He is working. At first, I struggled with trusting that He was present in certain areas of India, but God reminded me that He is Emmanuel and how little I trust in Him. God also revealed Himself to me through other people or His Word. There were days when I felt discouraged and unloved, but God would use my teammates or the children in India to show me His love. God spoke to my team through His Word during devotionals when we needed to hear from Him. My team and I were able to see God’s presence in India through the faithful missionaries that God has placed there. Knowing that we share the same God all over the world reminds me of His kindness and faithfulness to His children. Through the brokenness of India, I was able to see God. The country is full of suffering and darkness, however, I know that God is present and that He is working in this country. There is so much beauty in the brokenness because we have the hope of Christ. My heart for this country grew and I pray that God will allow Himself to be known. God is powerful. In our generation, we limit God’s power and put Him inside of a box. We limit God because we think we know Him, but He is so much more powerful than we can comprehend. He works in ways that we do not understand because we are so limited. In India, I saw the power of God and the power of prayer. I learned that my prayers to God need to be greater and more confident in Him. The missionaries and Christians in India have so much faith in God and His power. There is power in prayer because we pray to a powerful God who answers. Overall, I am so thankful to have been able to see God work and take a part in advancing His kingdom in India. God is so kind to me and I am undeserving of His love. I really praise God for the testimony that He has given me. I believe that the KCM STSM program is a blessing from God that people should take if given the chance. God is so worth it! I think my experience is something that many other mission trainees can relate to, yet the commonness of how God chose to work in me doesn’t (in any way) lessen the glory that is brought to Him. The theme of humility, or rather, being humbled by God was prevalent for me during my time in India. Yet, I think that humility falls under the wider scope of perspective—which is what I want to focus on in this testimony. Having pride/humility is simply a matter of perspective and a lot of times my perspective was/is wrong. Before I came into India, I had this goal of wanting to serve God through serving my team. But in hindsight, I see that my perspective even in that situation was one of pride and entitlement. I realized I wanted to serve my team to fulfill this desire of wanting to be made much of. I wanted to feel important and revered—my perspective was not of a true servant that is pleasing to God. In addition to this I just had a lot of underlying pride and self-righteousness that I simply did not realize. God redeemed all of this through humbling me in sickness and ailment. The first few days we were in India were so exhausting to me. I think it was from all the travelling, but I felt really weak and had no energy. I would lie in bed trying to rest and think, “man, I can’t do this” and that was only beginning days of our mission trip. God worked in that weakness to make me see that I truly couldn’t do it—and that’s okay. I wasn’t meant to do it—at least not on my own. My time in India (and indeed, every step of my life) had to be based on God’s strength and not my own. Another way God humbled me was how my perspective changed on prayer. The way I pray changes so much when I realize who God is, which in turn reminds me of who I am. First, God is so great and holy and deserving of all the praise we could ever give and more. Second, I am so sinful—I am nothing in the presence of our almighty Father. Nehemiah’s prayer is something I always refer back to because he gives such a good example on how we should I pray. He prays with the heart of true humility because he knows how sinful his own flesh is and how holy God is and this always reminds me to pray with this heart. Praying with humility shows just how much I need God because I know I can’t do anything on my own. I saw prayers like these exemplified through the different missionaries that our team met. Missionary J and S showed me a deep reliance on God through prayer. They cried out to God every morning at 5 AM regarding everything—even their smallest needs or the simplest things. The M family showed me to pray with faith and expectation that our God is powerful and can do the things we pray if he wills it. They told us stories of how God provided through their prayers in such crazy ways. God used both families to show me in their prayers that their perspective on God is so great. When you realize just how glorious and magnificent God is, everything else just falls into place. Your perspective on God shapes how you view yourself and others. In India, God revealed himself to me as so great and powerful through the work that He has already done through the missionaries and through the beautiful creation He has made. I was so in awe of God that it made me realize I am nothing in His presence and can boast in nothing but Christ. All my works, self-righteousness, pride, and anything else that made myself feel holier or better than other people are made nothing in light of grace. The great grace of God reminds me that I am no better than anyone else. It doesn’t matter how much I serve, or pray, or read the bible, or go on missions—I am saved by grace and grace alone. Praise God for His inexpressible gift! This testimony is NOT ABOUT ME, but about God and how he uses a sinner like me to advance His kingdom. 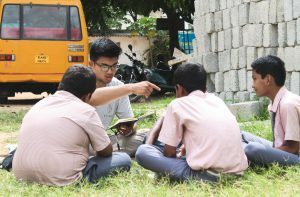 This South India mission trip was highlighted by ministering to young students, encouraging seminarians and missionaries, and applying missionary disciplines. During my India trip, I struggled with the perceiving sin as an act that is truly hated by God. My understanding of sin was set upon the foundation of two levels – tolerable and intolerable. Throughout the STSM process, the seed of expectations was planted within my heart unconsciously and that seed was rooted from the struggle with my silent pride. While I was warned not to hold such expectations, I couldn’t help wanting STSM to go accordingly to my agenda in which everything would conform under my jurisdiction. 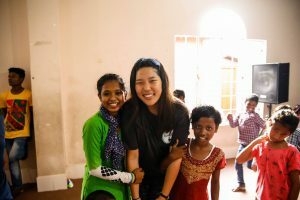 Ranging from ministry to teammates, I tolerated my expectations of wanting missions to go my way. This realization did not cross my mind until the third week as my leaders, Harry and Heidi, were conducting personal evaluations for every individual on the team. I believe that God speaks to me through Scripture and His people, and I was stripped of everything during the night of my evaluation. Romans 7:15b reads, “For I do not do what I want, but I do the very thing I hate.” All my life, I have been placing expectations on people due to the arrogance within my heart. Blinded by my own thoughts and desires, I would fail to reflect upon my heart and bear the burdens and issues unto others. Thus, in my finite mentality, I would tolerate my sins of expectations and pride, and failed to properly repent for them. Aside from the sins that I was wrestling within me, I was struggling to see why God brought me to India and what India meant to me. While my main priority was to preach the Gospel to those with the ears to hear, the Gospel was not penetrating my heart. I twisted the Gospel and extracted verses that fit to my mold. A primary example of this was how I would love the individuals who I gravitated towards and grew callous to those whom I was not fond of. While I was in India to deliver the Word, God was gradually revealing the sins that I was spiritually blind towards. The very Gospel – God demonstrating his love for the world by bestowing his Son and nullifying his wrath by sacrificing his Son for sinners to defeat sin and provide the only way for salvation – was always so dear in my heart, but I failed to see that God hates sin more than anything. While I was praying for God to get me through the day, I still relied on every ounce of my strength, knowledge and demeanor. I struggled with pride all my life and it was magnified in India because God scripted it that way. Because I lacked in encouragement and was filled with bitterness towards my circumstances, I couldn’t understand what God was placing in my heart. As I dwelled in my conceit, my prayers were not honest to my King, my mind was filled with critical and ungraceful finger-pointing, and my heart refused to be like Jesus. However, God used India and its circumstances to reveal that I need to align my heart to his. To kill expectations and my pride, it had to come from a perspective of hating sin just as God does. I could tell that God was asking, “Denny, do you now understand my heart towards sin?” How arrogant I was that I could not see how the Gospel goes beyond my narrow-mindedness. The greatest lesson that I took away from my time in India was that I have no authority over anything, even my own life, and that the Gospel is not about me. Doing ministry in India had some similarities, yet differences, than that of America. My favorite ministry opportunity would be disciplining the student groups from different St. Paul campuses. By his grace, I shared with three age groups ranging from 7th standard to PU 2 (7th – 12th grade). While the students’ ages were close, many of their faith were on opposite spectrums. I had the opportunity to share to Christians, Muslims and Hindus. To my surprise, the Christian students derived from Christian families and likewise to the Muslim and Hindu believers. The fact that the students were either so willing to share about their faith or listen to what the Gospel meant to me reminded me that God qualified me to share not because of my merits, but simply due to his sovereign will. 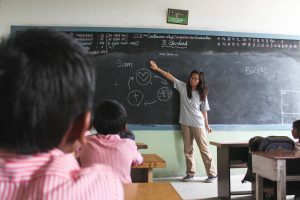 My experience with the students from sharing names and hobbies, to dialoguing on why Jesus is the only way to salvation translated to why the Gospel is so real in my life. I may not share a common denominator with students that live 9,000 miles away from me, but the fact that we can converse about God and his work in our lives is no coincidence. Realizing that I am just a vapor in the wind and that God can use anyone to share the Gospel cross-culturally are examples of his grace for us. The time that God anointed with my students – Mukesh, Himal, Ajay, Tejes, Yakob, Joshua, Silver, and many more – was such an honor in which I was freely able to express how good God was despite our differences. The two weeks that I got to spend with them portrayed that God is greater than what the world could ever provide every one of us. Another favorite moment of the India trip would be encouraging the missionaries and seminarians. Rejoicing in our one and true God daily was an experience that I would never forget. While we come from different backgrounds, our faith in God brought us to worship him, just as Heaven will be like. In addition to spending time with the natives, hearing their testimonies and being served by them filled our hearts not by of our services for one another, but serving our Lord under one body and Spirit. 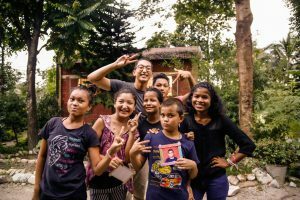 Our missionary contact, Dr. Abraham Chung, exemplified how a missionary lives to not only be above approach, but also be an individual who radiates the love of Christ. From singing praises of His name to memorizing missional proverbs, Dr. Abraham was an ordinary man who simply obeyed God’s call to the direction he was headed towards. While my team’s time with Dr. Abraham was short, we were blessed by his encouragements and heart for the Lord. Overall, the month I had with the students, missionaries, seminarians and Indian natives all played a role for me to devote myself to God all the more. Conclusively, God revealing the darkness of sin sums up my time in India. While sin in India was so blatant, my heart was unwilling to seek his grace to understand how toxic it was in my life. I believe that India was specifically tailored to what I had to learn in the season that I was in and to refine my hearts towards sin, sanctification and salvation. As my love for him grows more and more, I get a deeper understanding that sin cannot be tolerated in my life any longer. My prayers are highlighted upon me hating my own pride and that God is the only solution to stripping it away. I want to challenge myself daily that this world is not my home, but while I continue to breath and live, I strive for Christ and wait eagerly for him. India is such a beautiful nation. Despite the copious amounts of trash, the smells, the cows, and the blatant sin, God was gracious enough and capable enough to show me His heart and His country. I was challenged in ways I didn’t expect. On a daily basis, God broke down my expectations of what India was going to be like, what our team would be like and definitely in how I would be stretched. A lot of the ministry we did in Bangalore and the various cities we visited was relational, primarily with students. Many of the students I spent time with came from Hindu families and did not believe in Jesus alone as their only savior. Rather than being heartbroken, I was frustrated with myself. I was humbled in this aspect because I tried doing everything on my own, with my own character and capabilities. I thought I knew of my sinfulness and the limitations it imposed on me but once I started proclaiming and teaching the Gospel, I was made aware of how much I was in need of it. My mindset in ministering to the students and natives of India radically changed after I realized my own sinfulness. In the eyes of God, I was and am the same as a Hindu-born student living in India. On my team, my role as an MC and relationships with my teammates challenged me in terms of my insecurities. Prior to my time in India, I struggled a lot with feelings of inadequacy. At home, I was able to hide and justify my sinful actions. In India, all had to be shed. Living and doing ministry with fifteen other people really pushed me to minister the gospel to my teammates by living out the gospel in love and humility. 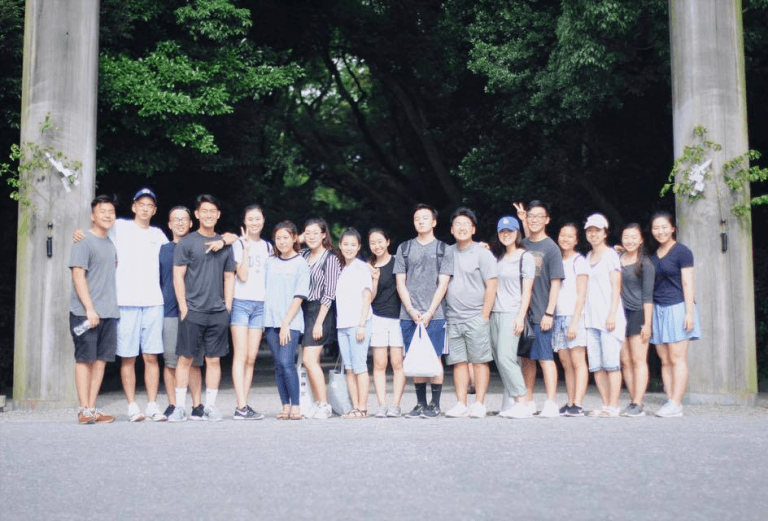 Being with these people 24/7, God placed me in a situation where I would have to change and face the conflicts and emotions I felt rather than avoiding people or shutting them out. Justifying my insecurities and shutting out those emotions only revealed my large view of sin and small view of God. As MC, I was challenged to shed false confidence in myself. Again, I was trying to do and fix on my own terms. Over the course of my time as an MC, I learned to place all my trust and confidence in the message rather than myself. The true gospel I went to proclaim is so much more interesting and capable. One unfortunate but defining characteristic of India is the explicit display of sin in idols and Hindu worship. This really broke our team. Witnessing the Indian natives worshipping false idols and cows really broke my heart. If I was that hurt and affected, I could only imagine how God felt when He sees them, when He sees us. In those moments when our team was broken and defeated by sin, we were reminded of Gods sovereignty. I was rebuked because similar to my own struggles with my insecurities and ministry, I failed to see the magnitude and power of God. Regardless of what I saw or felt, God is always working and present even when we thought He wasn’t. If we believed in a God that worked in ways that we wanted, imagined or could visually witness, it wouldn’t be God we place our trust and confidence in, but ourselves. Every struggle and every sin I witnessed in India reflected back to how much I need the Gospel and how desperately everyone needs to hear it. Even in sin, God was and is glorified because without the promise of His love and grace we would be so lost. I am so thankful to God for loving me so much and revealing Himself this past month. If there’s one theme that I wish someone reading to retain from my testimony is the confidence, hope and preciousness of the gospel. I am confident as a daughter of God because my faith is not contingent on my actions or abilities but in the reality that God sent His son to die for us. I am hopeful because my time in India revealed sin and brokenness in myself and the world but also how much greater God’s power and sovereignty is. I cherish the gospel, for it saved and reconciled us to God despite our sinfulness. Ecclesiastes 3:11 reads “He has made everything beautiful in its time…” Truly, I see this now. India is beautiful despite its brokenness because God has, is and will continue to be there.